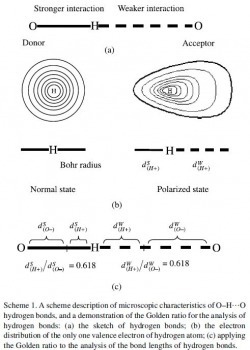 It has been found recently (in 2005, actually), that the golden ratio plays a significant role in atomic physics in that it governs what is known as the Bohr radius (the radius of atoms and ions that enables quantitative discussion of bond lengths between atoms and partial ionic character (D. Yu et al.). 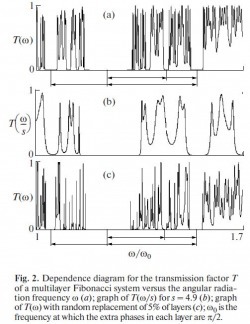 Here we will discuss it in a phenomenon known as hydrogen bonding, in which the partially positive hydrogen atom is attracted to an electronegative atom (one that strongly pulls electrons toward it). The presence of the golden ratio in hydrogen bonding. Note that the ratio of bond distances is 0.618 (1/phi) for both the strong and weak bonds. The validity of these results are further discussed in D. Yu et al 213-214. 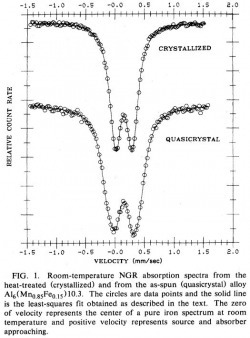 NGR Spectrum for crystallized Al-Mn alloy, Image from Swartzendruber et al. 1384. 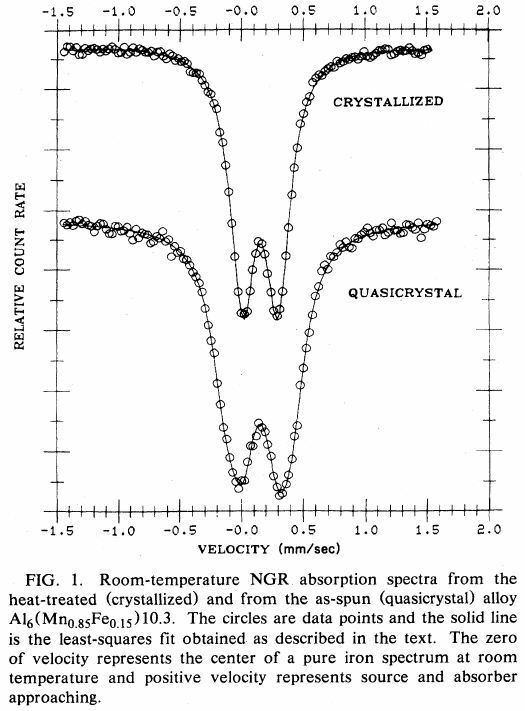 The above spectrum displays two quadripole doublet peaks (this is fancy crystallographer-talk). 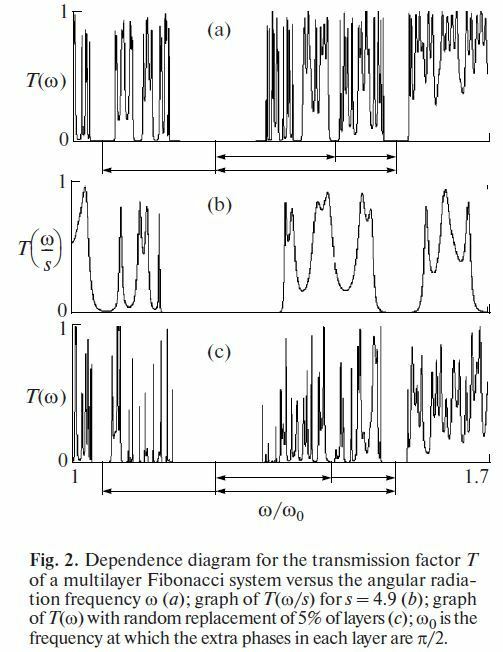 The least-squares regression fit for these curves saw minimized standard deviations (which is statistically a good thing--the lower the standard deviation, the closer the data is to the mean) when the intensity ratio was constrained to be 1.618, the golden ratio. This suggests that phi is involved in determining the spacing between the atoms in the quasicrystalline lattice structure (Swartzendruber et al. 1384-1385). 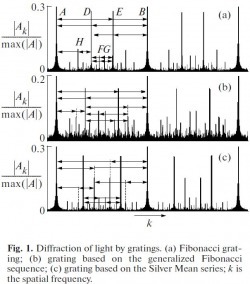 Diffraction of light by gratings, image from Grushina et al. 408. 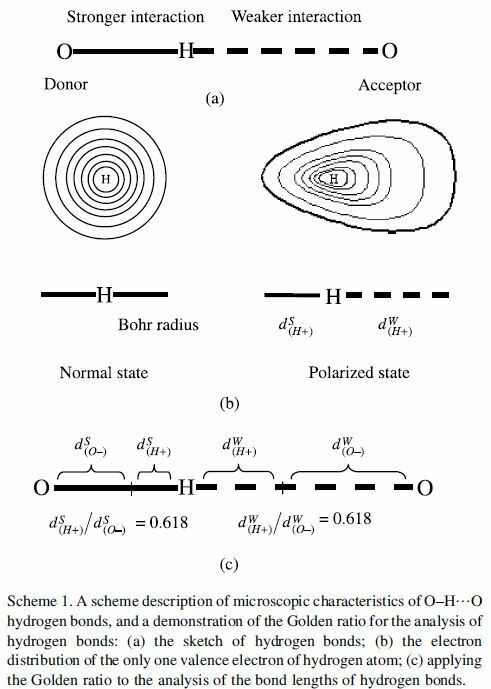 Relative stability of phi-based diffraction patterns, image from Grushina et al. 409. 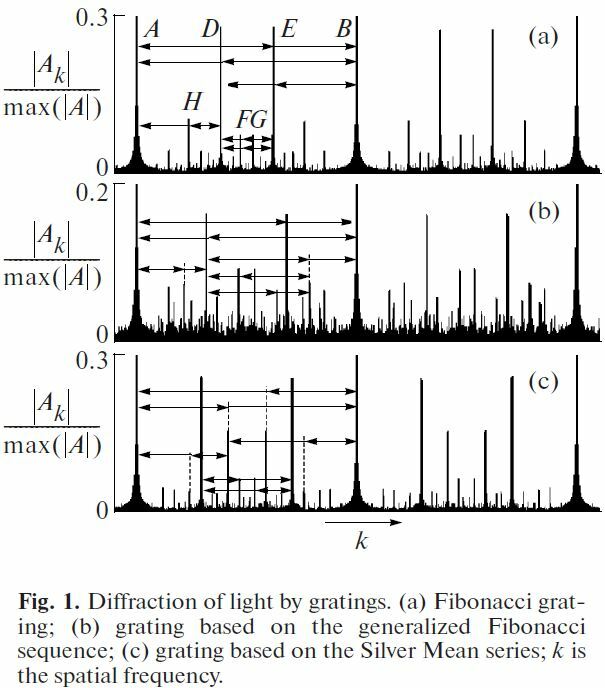 "One of the main conclusions to be drawn from our calculations is that the self-similarity in the structures of diffraction gratings and multilayer Fibonacci systems related to the golden ratio is clearly seen in their optical characteristics. Also, the definite consistency in the behavior of optical parameters featuring a unique self-similarity factor is pointed out" (Grushina et al. 411). The above discussion serves to illuminate just another interesting scientific property of the golden ratio.